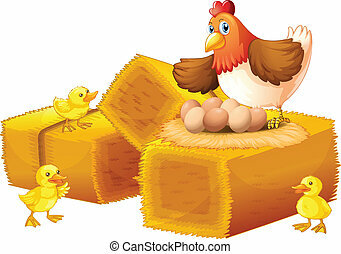 A hen and her seven eggs. 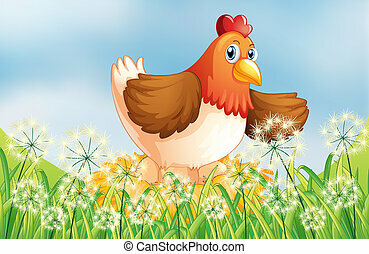 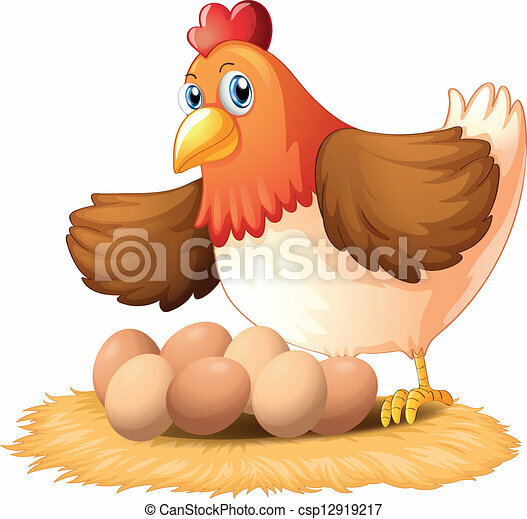 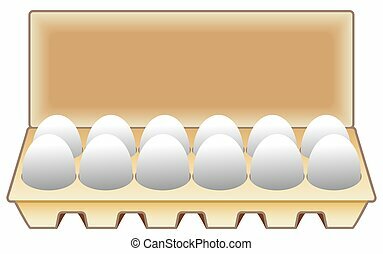 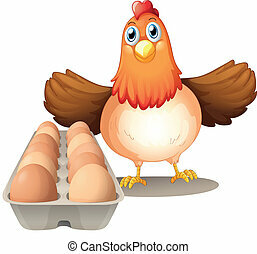 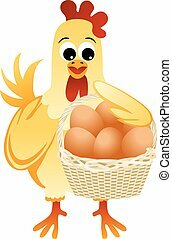 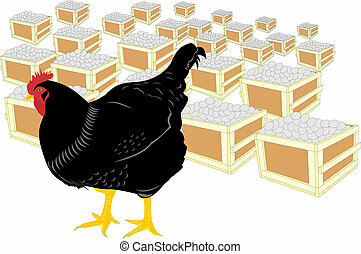 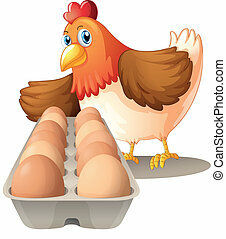 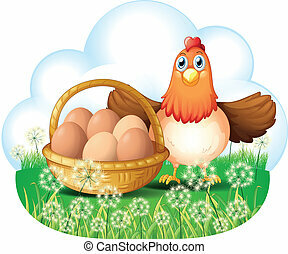 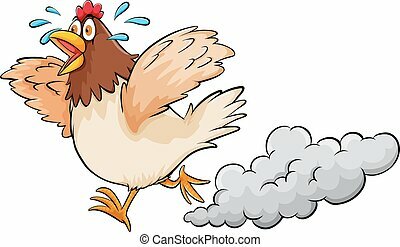 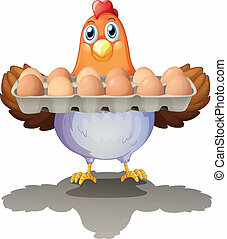 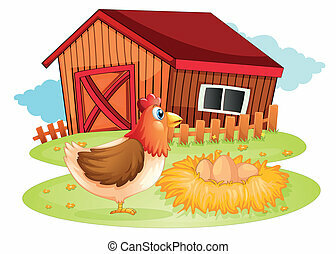 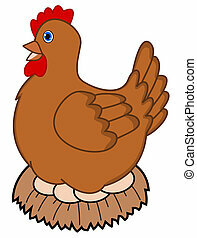 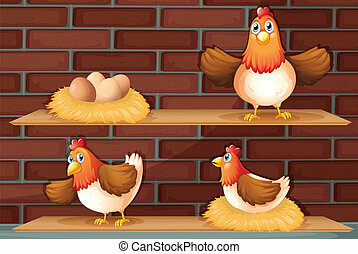 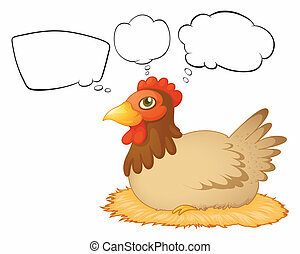 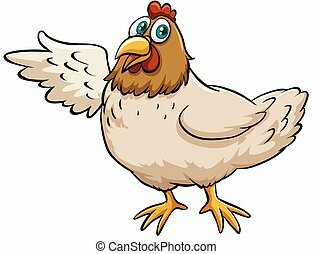 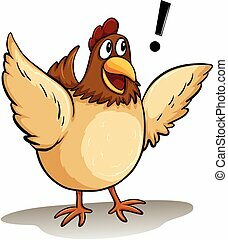 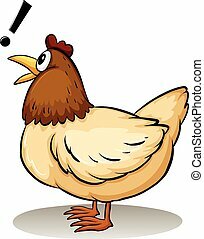 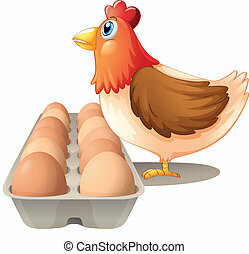 Illustration of a hen and her seven eggs on a white background. 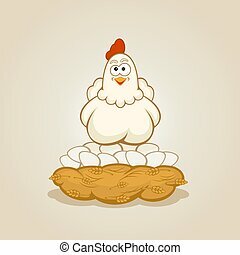 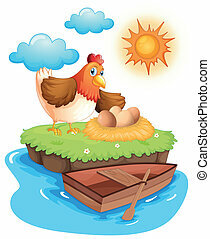 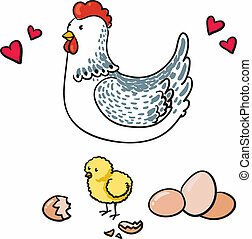 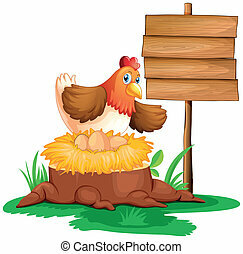 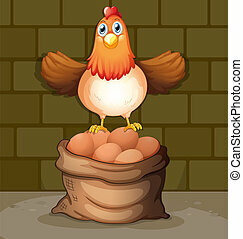 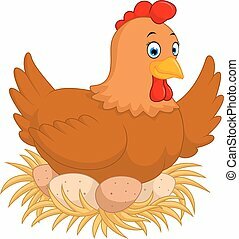 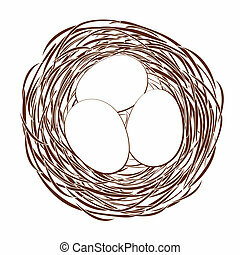 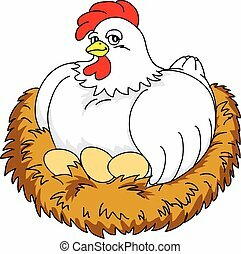 Hen in a nest on eggs, illustration. 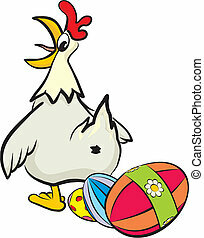 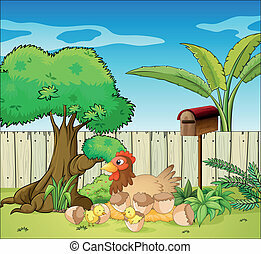 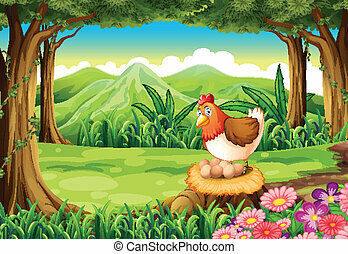 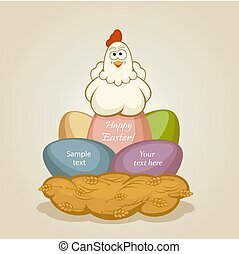 Hen in a nest on Easter eggs, illustration.